Two weeks ago I had the pleasure of attending the Hooded Man Event in Gloucester. This gathering was for fans of the 1980’s television show Robin of Sherwood – a show that I have recently written three brand new audio scripts for. While I was in Gloucester I was busy selling my novels, so I didn’t get to talk to as many people as I would have liked. Since my return to Devon, I’ve been asked a number of questions relating to the writing of those three scripts – The Waterford Boy – Mathilda’s Legacy – The Baron’s Daughter. Today, I’m going to attempt to answer those questions. Obviously the answers I give are from my angle only. I don’t work for Spiteful Puppet or ITV- so I have no knowledge as to what the future holds for RoS. So- in no particular order…. How difficult is it to switch from writing books to script writing for audio? I’ve been a novelist for 12 years, so it was quite a challenge suddenly writing something where I couldn’t describe a scene properly with words. Everything has to be displayed via dialogue and background sound. This meant that writing about someone’s appearance, for example, has to be done via the comments of other characters. The scene in The Waterford Boy, where Robin, Will and Nasir disguise themselves to blend into Nottingham market, was particularly tricky to put together for that very reason. It was slightly easier writing the two narrated stories- The forthcoming The Baron’s Daughter however, is a full cast reading…so that needed everything explaining via conversation and sound effects. You’ll find out if I managed that in a few months time! Although writing scripts is a very different skill to writing a novel- I loved it! Let’s hope I get to do some more one day. Will Robin of Sherwood audio do anything like prequels or sequels for example prequel Rebels of Loxley or the daughters (sons) of Sherwood? 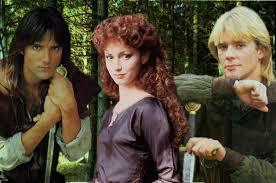 Any plans to expand the Robin of Sherwood universe further? I’d have to say ‘no’ to that. The licence for what Spiteful Puppet can do is strict- plus, there isn’t the mega multi-national audience that you have for other popular shows such as Doctor Who or Star Trek. The prequel angle has been explored a little bit with Mathilda’s Legacy (the story of how the Earl of Huntington met Robert of Huntington’s mother). 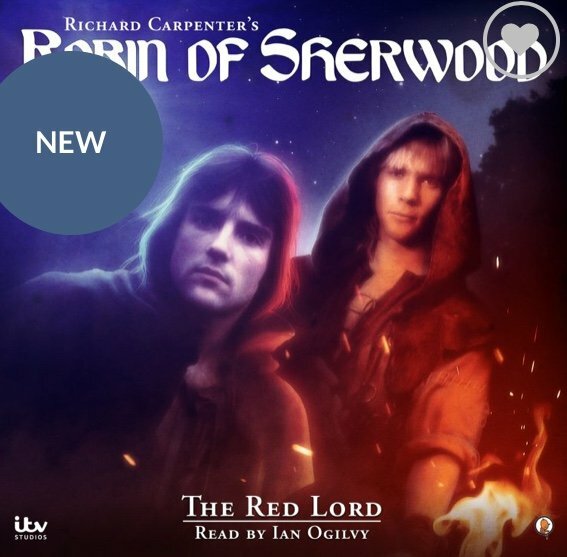 However, if you enjoy all stories Robin Hood, then there are many writers who have been inspired by Robin of Sherwood and have expanded into many other directions, from fantasy to comics to legend redevelopment. You only have to look at my fellow audio script writers Paul Kane (The Red Lord) and Tony Lees (The Trial of John Little– coming soon) to find a collection of Robin Hood stories to keep you going for ages. Do you make drawings to picture parts of your audio-book stories? 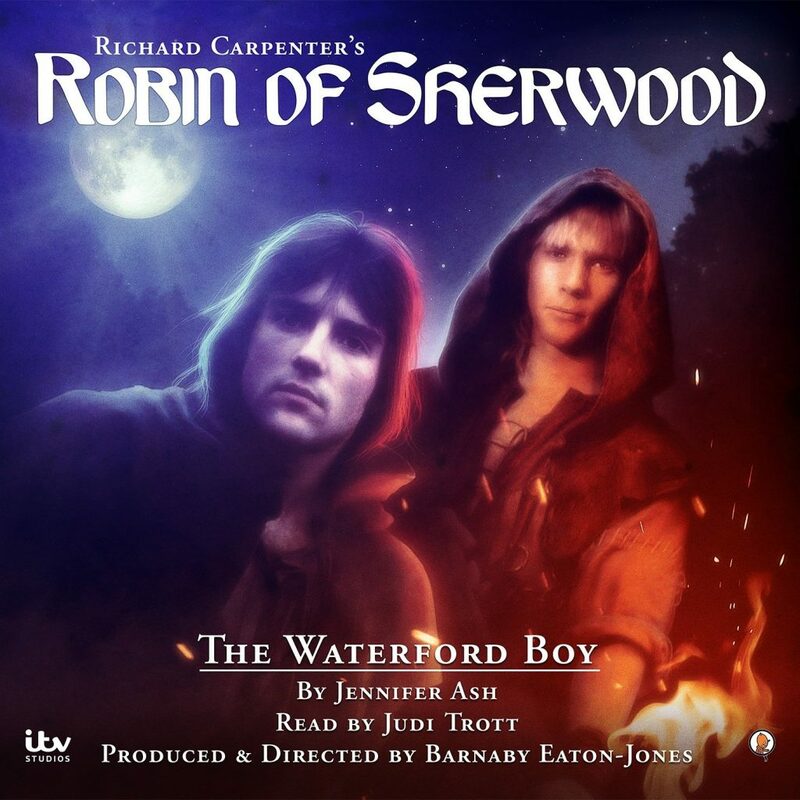 The only art work associated with the audio books is the brilliant cover showing both Robin’s. I am not responsible for that thankfully – which is probably just as well as I have no artistic skill at all! I wish I did. Once you knew you were doing more than one audio story, did you put your own returning characters (other than the obvious) into the stories, or was that a temptation too far (against the canon)? It would be so tempting to do that. I would love to write more about Mathilda of Huntington if the chance ever arose. (Unlikely!) However, the answer to the question is ‘no’. The stories are slotted into the ready made framework of the existing episodes, and so any onward play with my own invented characters wouldn’t be practical – although it would be fun for me as writer. However, I have enjoyed making reference to the characters we know and love. I took great pleasure, for example, in referencing Lord Edgar in Mathilda’s Legacy– Robert’s mother clearly had very little time for her future brother-in-law…. It is wonderful to be able to play with the nostalgia we all feel for the characters we loved – and the ones we loved to hate. Which was your favourite of the audio scripts you’ve written? The Waterford Boy will always be special because it was my first script- and it made a dream come true. Never did I think I’d write for the best TV show of all time (to me anyway!) Judi Trott read it so beautifully as well. I have to confess to listening to it often just to hear her lovely voice. The Baron’s Daughter was also special because it was my first full cast script. I got to put words into Michal Praed’s mouth – and who wouldn’t want to do that??? However- if pushed- I think Mathilda’s Legacy is my favourite. Partly because it was the first one I heard as a completed audio. The second I heard Michael Craig read my words- and then the famous theme music burst into life- I was a star struck 14 year old unable to believe that I was listening to a story I’d created. It was also quite something being given the responsibility of inventing (to some extent- David of Huntington was married to Mathilda) Robert of Huntingdon’s mother. I hope you all like the woman I created to be a future heroes mother. Which was your favourite RoS episode? That is an impossible question. I love them all. To narrow it down – it was either Adam Bell (first one I ever saw) or Herne’s Son parts one and two or The Prisoner…or….. Many thanks to everyone who has sent questions to me since the HM3. I have been overwhelmed by the kindness showed to me after I fiddled with your favourite stories. 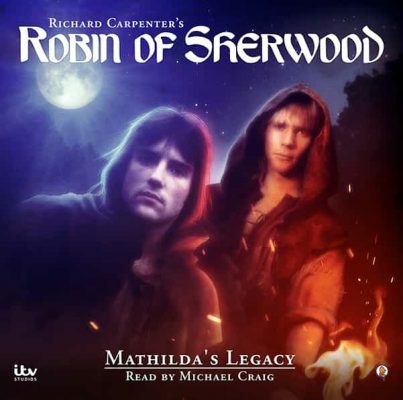 I promise, if I am ever lucky enough to write more, I will continue to try as hard as I can to be true to the Robin of Sherwood ethos, and write stories to make you feel as though you have been transported back to 5.35 on a Saturday afternoon in the 1980’s. Well – I’ll try anyway!